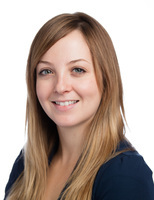 Kaylee received her Bachelor of Science degree in Kinesiology and Applied Health from the University of Winnipeg, and is certified with the Canadian Athletic Therapists Association as an Athletic Therapist. In addition, she has also graduated as a Registered Massage Therapist from The Wellington College of Massage Therapy. She has completed a course in Soft Tissue Release, and plans to continue taking courses that will broaden her treatment technique repertoire.